We provide a door-to-door service – from a full household to individual items – worldwide. You will be allocated a personal Overseas Move Coordinator who will advise and discuss all the options and procedures available to you. There’s help every step of the way with visas, customs and prohibited goods, and you can be rest assured that Kennedy Movers can handle the whole experience from start to finish. FREE EXPORT PACKING SERVICE ON EVERY INTERNATIONAL REMOVAL! Full Container Load (FCL) – This is the best service if you are thinking of moving the whole contents of your house or office. Kennedy Movers can even arrange for a shipment container to be delivered and loaded at your premises. This is subject to site access. This method ensures that the container carries only your goods, the container is sealed at your residence. We then arrange a booking onto the next suitable transport. Pre -booking can also be arranged in advance. 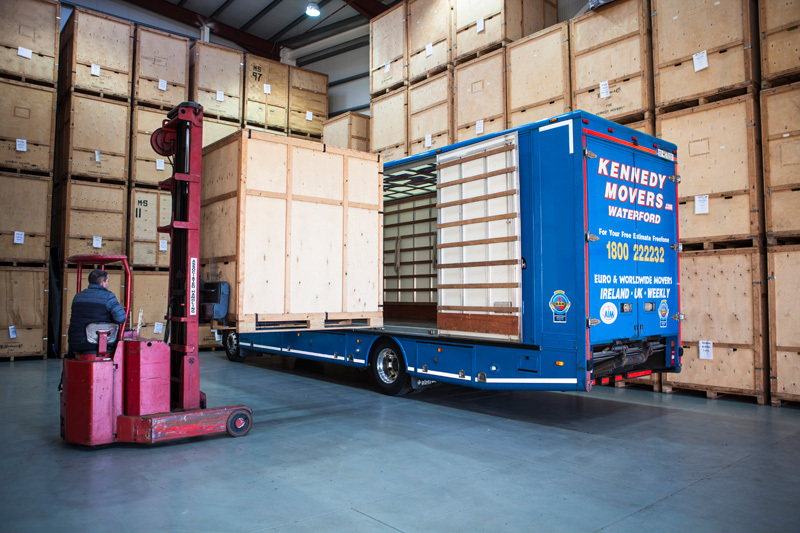 Kennedy Movers have many trusted overseas partners that arrange to meet your container and carry out any necessary customs procedures. Our Overseas Move Coordinator will advise and discuss all the options and procedures.